Home Theme worlds Other theme worlds product groups XXL Wobbly Tower "Active"
Now it's getting wobbly! 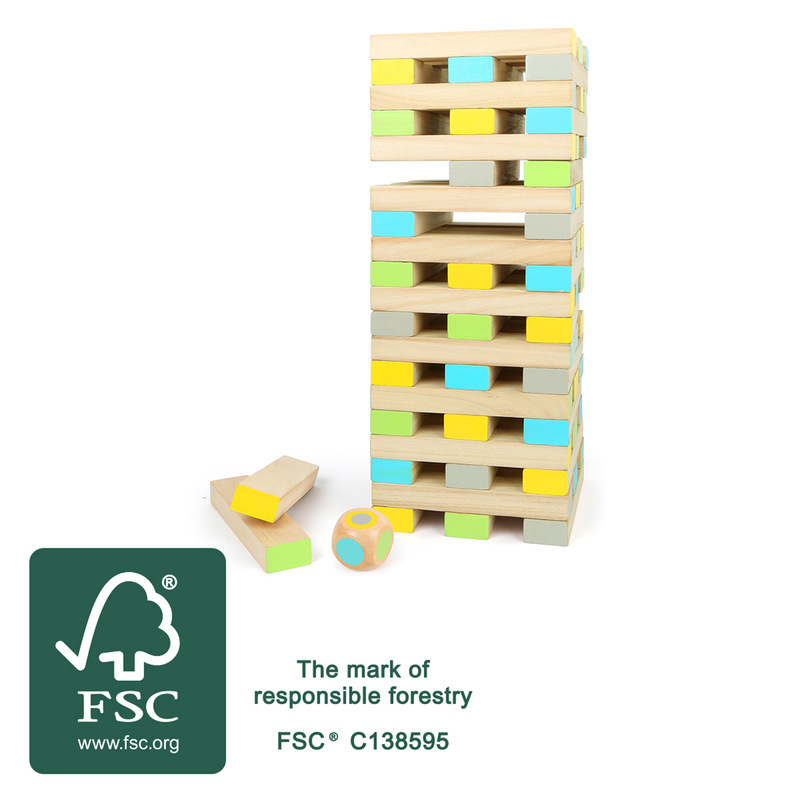 This 60-piece wobbly tower game made of FSC® 100%-certified wood is ideal for outdoor playtime. 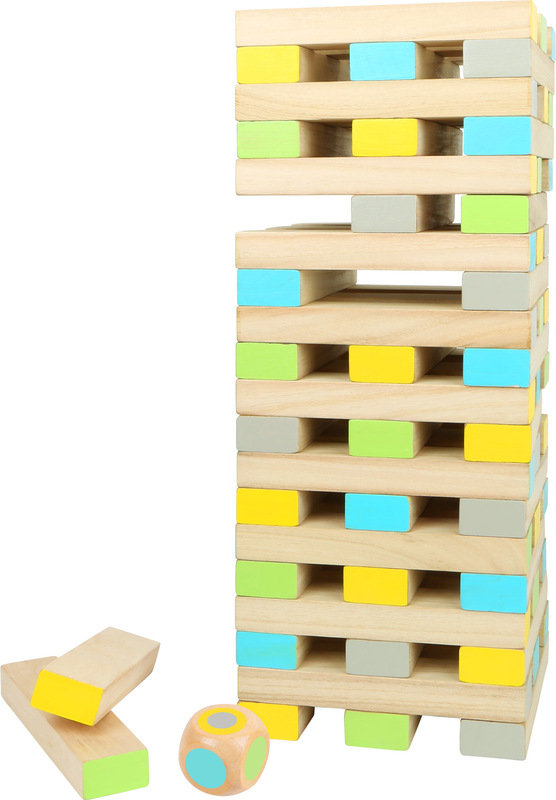 With this dexterity game, the players have to have a steady hand and pull individual blocks out of the tower without the tower falling over. Another special feature is the included coloured die, which dictates which coloured side has to be touched next. 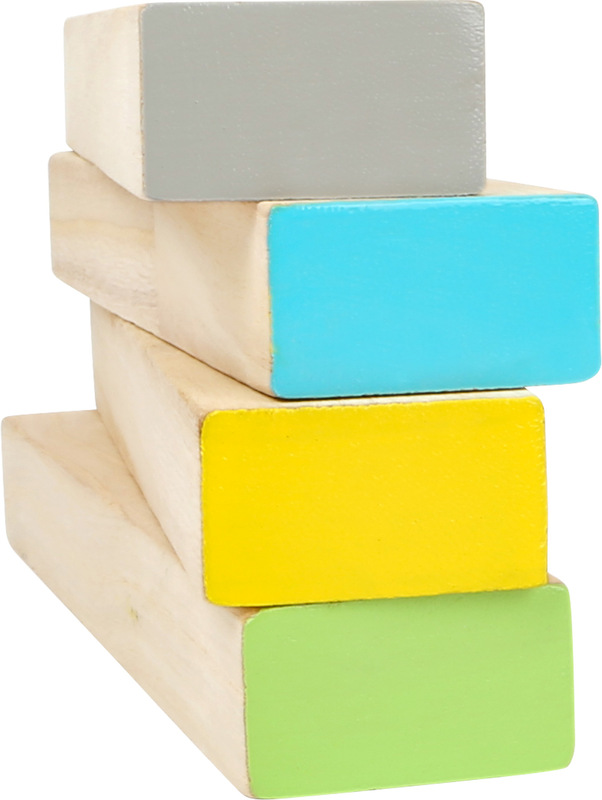 The large, naturally finished game pieces are coloured in light green, yellow, blue and grey colours, so they're visible in grass. 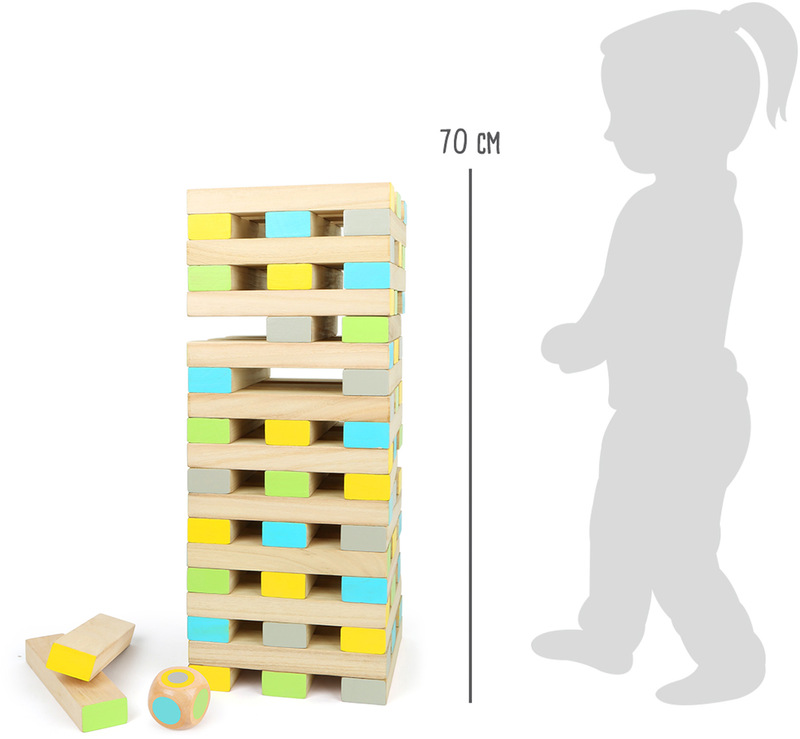 This game is a hit with both young and old players, and simultaneously trains patience, motor skills and concentration. 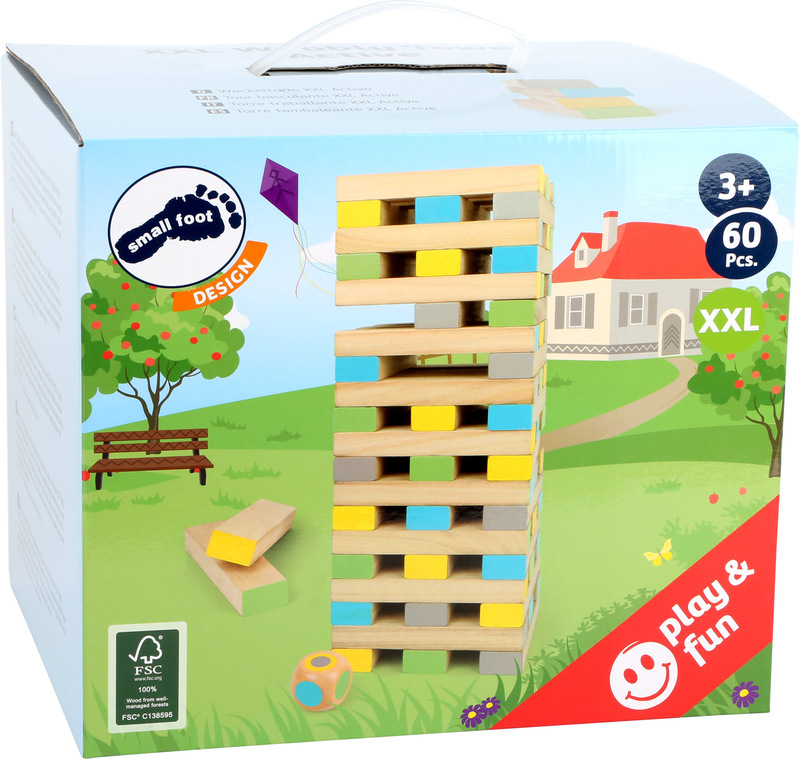 A popular, classic game in an XXL format! 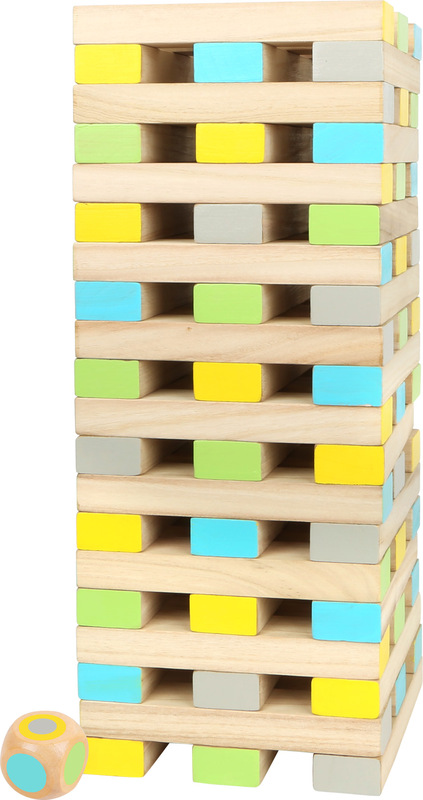 Wobbling Tower "Round & Coloured"